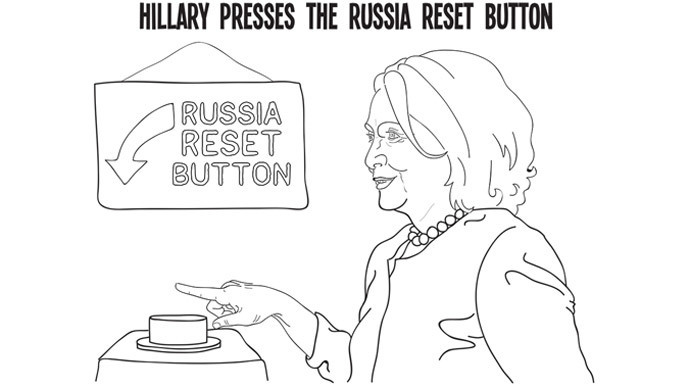 Less than pleased with a Hillary Clinton coloring book released last year, a Republican opposition group has issued what it calls the “missing pages,” including scenes of Clinton testifying about Benghazi, and pressing “reset” on Russian relations. Co-founded by former Mitt Romney advisers, the American Rising PAC wrote on its website that they noticed there were some pages missing from the original Clinton coloring book. The PAC recommended that people join a coloring challenge, and tweet, instagram or email a finished version of their colored illustrations. Included in the book are scenes such as when then-Secretary of State Clinton testified before Congress about Benghazi and said, “What difference, at this point, does it make?” in reference to questions over whether the State Department was negligent in providing enough security to protect American Ambassador Christopher Stevens and three staffers who were subsequently killed in an ambush. The supplemental pages come in response to a pictorial history of Clinton which was released in December. The coloring book begins with her childhood in Illinois, includes the iconic internet meme 'Texts from Hillary,' and even makes a few predictions. It depicts her tossing her hat into the ring and running for president the 2016 election, successfully becoming the first female president in United States history.